“Neither let him who is in the field return back to take his clothes. “And woe unto those who are with child, and to those who nurse children in those days! When the followers of Christ heard these words they were probably surprised at the mention of the abomination of desolation. His listeners were certainly familiar with the term and likely understood what he was talking about even though it may seem obscure to us today. The prophecy actually has reference to something that occurred long ago in the history of Israel and almost two centuries before the time of Christ. 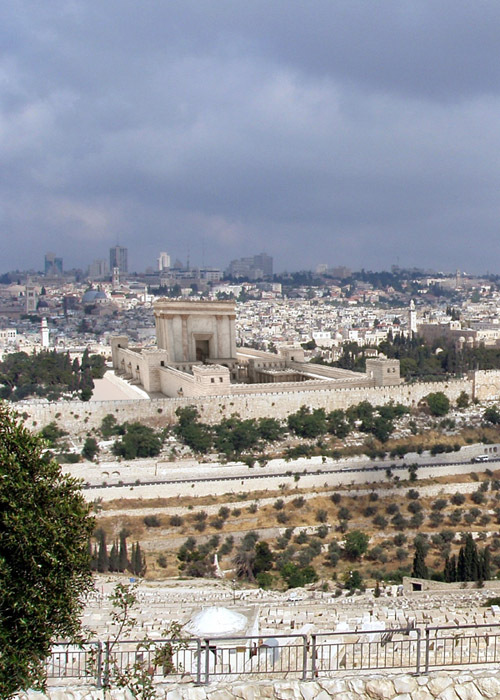 The Lord was predicting a future event that would occur at the end of the age by referencing an event which was drawn from one of the darkest days of Israel’s past. Jesus even provides a reference to help the reader fully understand what he was describing. He specifically says that the book of Daniel would hold the key to understanding this prediction. This highlights an important concept in the study of prophecy. None of the predictions concerning the last days and the return of Christ should be interpreted without first taking into consideration all of the other parts of the Bible that might refer to the same event or the same time period. There are many aspects of prophesy that occur in fragments in both the Old and New Testaments. A few verses here and a few verses there often make up different aspects of the same prediction. If all of these fragments are not brought together to formulate the complete picture, then it is easy to fall into the trap of taking a single prophecy out of context and reaching the wrong conclusions. This prediction by Jesus about the Abomination of Desolation is one that is particularly important to cross-reference thoroughly before we interpret it. In Daniel chapter 8 (see the section entitled Daniel’s Vision of the Four Beasts), we find a description of how the empire of Persia would be destroyed by the coming of Alexander the Great. In the symbolism of Daniel’s prophecy, the he-goat (Greece) had a “notable horn” (Alexander the Great) between its eyes. After the goat had destroyed the ram (Persia), the large horn was broken and four others came up in its place. As we learned from Daniel’s vision, this was a prophecy of the unexpected early death of Alexander and the taking over of his empire by his four principle generals. After the take-over, the empire was divided into four main regions, two of which became prominent: the kingdom of the Ptolemies in Egypt and the Seleucids in Syria. “…by him the daily sacrifice was taken away, and the place of his sanctuary was cast down. “And an host was given him against the daily sacrifice by reason of transgression, and it cast down the truth to the ground; and it continued, and prospered. “Then I heard one saint speaking, and another saint said unto that certain saint who spoke, How long shall be the vision concerning the daily sacrifice, and the transgression of desolation, to give both the sanctuary and the host to be trampled under foot? Recorded history points us directly to the person of Antiochus IV Epiphanes as the only possible fulfillment of this prophecy. Antiochus ruled Syria from 175-164 B.C., but centuries before his rise Daniel predicted a period of widespread destruction at the hands of this Seleucid king. As Antiochus fought for territory with the Ptolemies of Egypt, his forces inevitably pushed south toward the land of Israel. 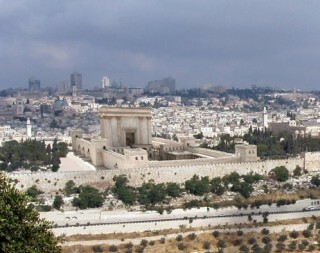 In time, the king subjugated the small land of the Jews without much difficulty. In defiance of their religious beliefs, Antiochus also desecrated the Temple in Jerusalem by offering a pig as a sacrifice. He then set up an altar to Jupiter right in the holy place and condemned the people to eat pork, which was unclean to every Jewish believer. This was what Jesus was referring to when he mentioned the term “abomination of desolation”. Antiochus had set up a pagan altar right in the Jewish Temple and sacrificed to his god, not to the one true God. He also outlawed the Torah, the Jewish sacrifices, and the following of any holy day observances as prescribed by Moses. This was the abomination that had made the Temple and the land desolate from a spiritual perspective. Every person listening to Jesus when he predicted that another Abomination of Desolation would occur in the last days knew immediately what he was talking about. However, Daniel predicted that Antiochus and his idolatrous abomination within the temple would not remain there forever. He also prophesied that exactly 2,300 days after Antiochus defiled it that the holy place would be completely cleansed and restored. In fact, at precisely the predicted time, the Lord raised up a priest by the name of Mattathias Maccabee and his son Judas to lead the people out from between the yoke of the Ptolemaic Kingdom and the Seleucid Empire and institute a brief period of Jewish independence, known as the Kingdom of the Maccabees or the Hasmonean dynasty. The beginning of the Maccabean revolt was in direct response to the evil committed at the hands of Antiochus. As a result of their victory, Jewish people today still celebrate the Feast of the Dedication in remembrance of when the temple was finally cleansed in 165 B.C.